Memorial Day is upon us… this is a time to honor those men and women of the U.S. Armed Forces. Just wanted to let you know that Goodyear has kicked off its 5th annual “Goodyear Gives Back” program benefiting the Support Our Troops® organization, by hosting a charity auction on their website, featuring autographed NASCAR memorabilia, VIP race experiences and rides on the Goodyear Blimp. 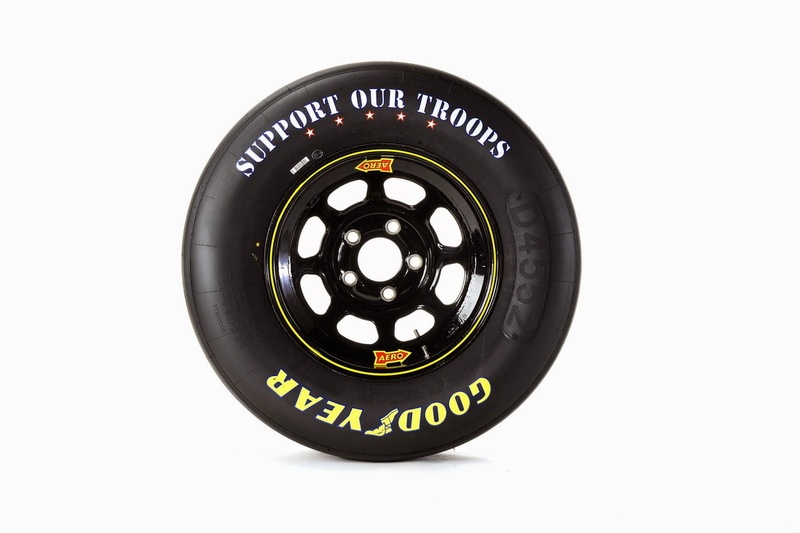 Goodyear has, once again, transformed its NASCAR race tires by replacing the “Eagle” sidewall design with “Support Our Troops” messaging on all tires used during Memorial Day weekend at Charlotte Motor Speedway.